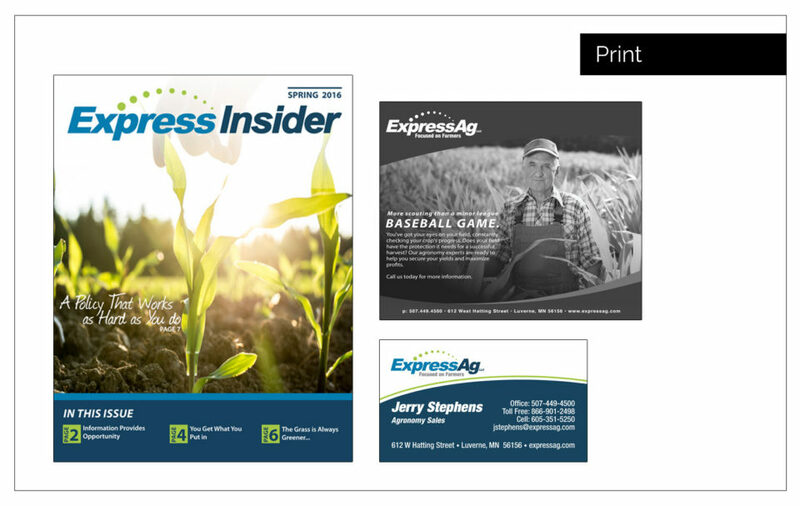 Creative Brief : Express Ag, an agronomy business located in Luverne, MN, came to us seeking an agency to take them to the next level. Agency Two Twelve started with a 360 Review to get to know Express Ag and exactly what their marketing needs were. Building on their already strong brand, the first thing we acted on was working with them to develop a quarterly magazine filled with newsworthy articles relating to developments in agriculture in their area. We also continue to direct the use of direct mailers, newspaper, and radio ads to use the best media outlets available to connect with current and prospective customers.